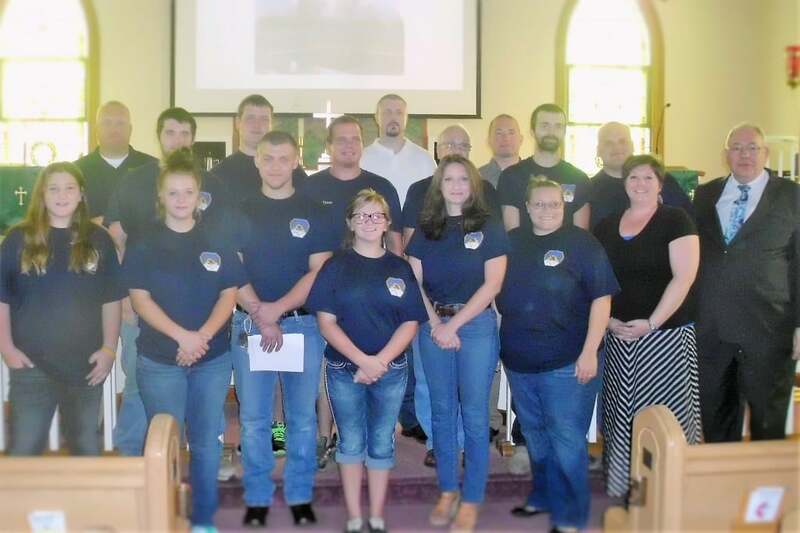 NASHVILLE, Tenn.––One hundred and thirty-five churches responded to an offer to purchase cases of Strength for Service books for presentations on the 15th anniversary of the September 11 attack on the Pentagon and the World Trade Center. Cases included 52 copies of Strength for Service to God and Community, a book of daily devotions for fire fighters, police officers and other first responders, or 48 copies of Strength for Service to God and Country, a historic book for military troops. Hopewell UMC in Lancaster, S.C., purchased 784 books and First UMC in Tucker, Ga., ordered 280 books for first responders. Men of Zoar UMC and the Middle Tyger Ruritan Club gave 52 SFS books to the South Carolina Tyger River Fire District. 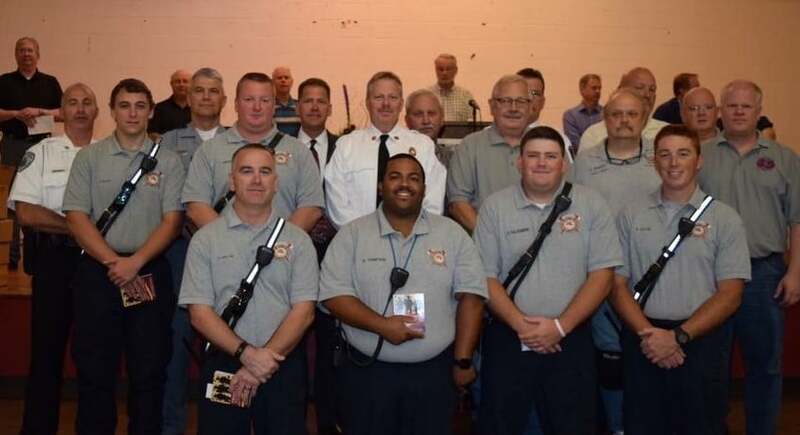 On September 11, men of Lake Norman UMC and Webb Chapel UMC in Denver, N.C., gave 75 SFS books to first responders. 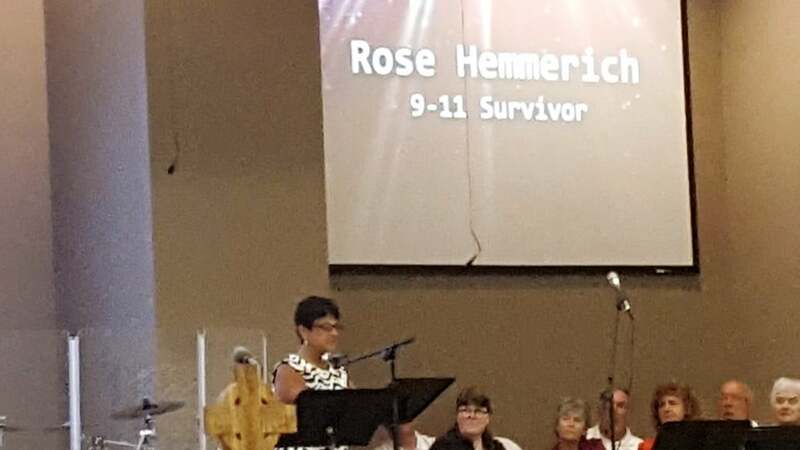 Rose Hemmeric, a survivor of the attack on the World Trade Center, was the guest speaker. Fifteen years ago, she was trapped on the 63rd floor of Tower 1. She was lead to safety by a team of firefighters who went back up the stairs. She never saw them again. 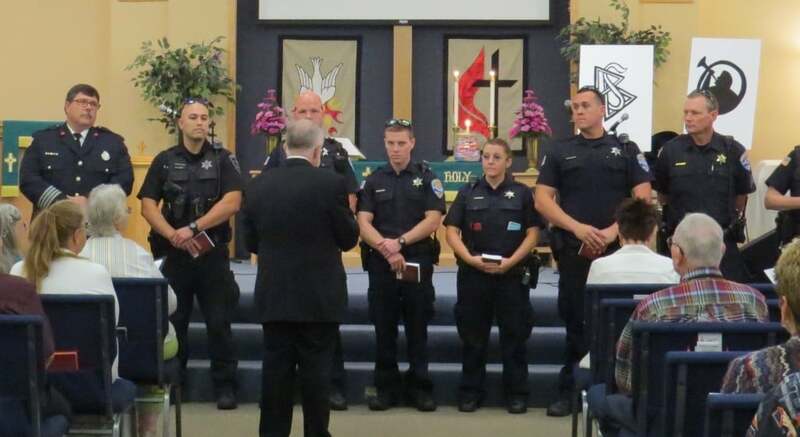 Members of Mount Pleasant UMC presented 52 devotional books to first responders during three church services on Sept. 11. Men of Granville UMC provided 52 SFS books to fire fighters, police officers, and members of the National Guard. On Sept. 11, Pastor G. Edward Corcelius led the congregation in a litany based on Psalm 13. All: How long, O Lord? Will you forget us forever? L: Lord, today we remember a day when everything changed. We remember a beautiful autumn day forever marred by smoke, chaos, death, and confusion. All: How long will you hide your face from us? L: We wondered where you were. We wondered how this could happen. So many innocent people gone. So many more left quaking with fear. 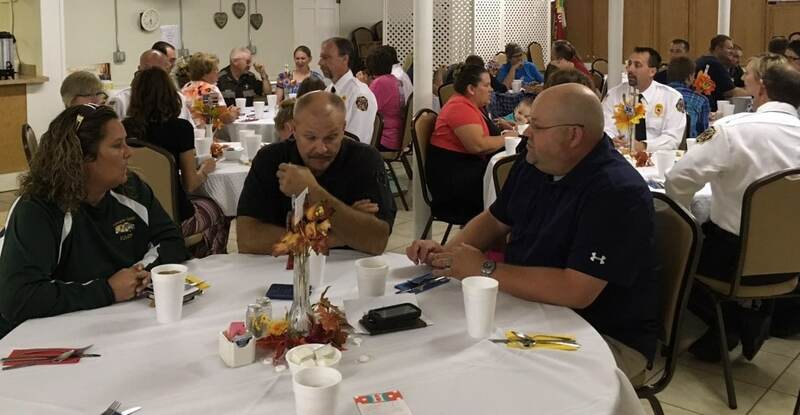 First UMC held a Sept. 10 banquet to honor first responders. Some 65 people attended, including 22 fire fighters, police officers, and EMS personnel and their families. Members of the Fellowship Sunday School Class of Simpsonville UMC presented devotional books to firefighters. Later, Howard Bare, president of UM Men, presented books to police officers. 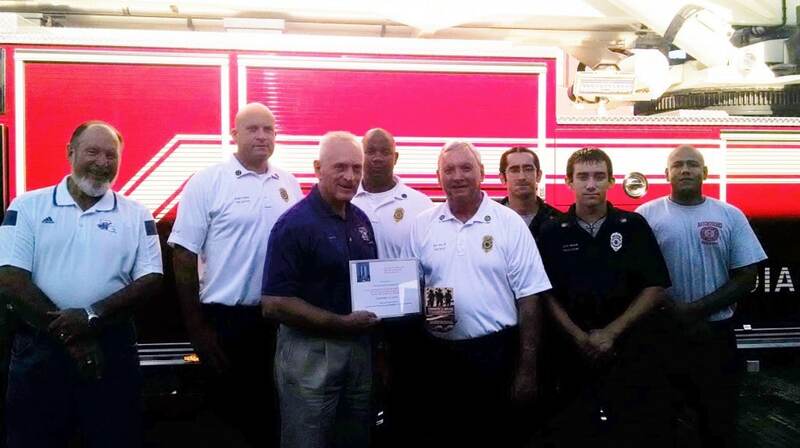 David Poston, Kenny Kaufman and Johnny Broussard presented honor certificates and SFS books to members of the Sherriff’s Office, the Police Department, and the Fire Department. “They were all grateful and thanked the UM Men for thinking of them on the 15th anniversary of 9/11,” said Poston, a retired lieutenant colonel in the Louisiana Army National Guard. 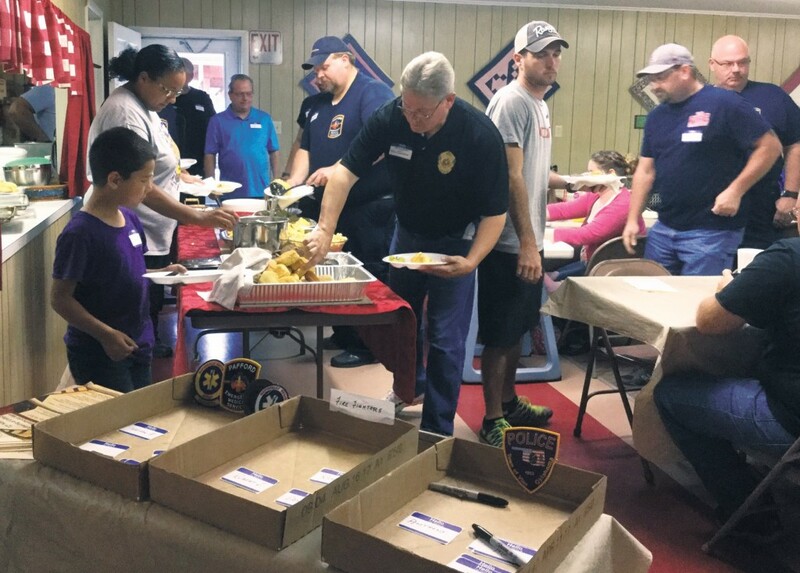 Men of Vian UMC held a “Strength for Service” breakfast to honor 65 police officers, firefighters and EMS personnel. It’s nice to know that they recognize and support the work we are doing,” said Police Chief Ted W. Johnson. 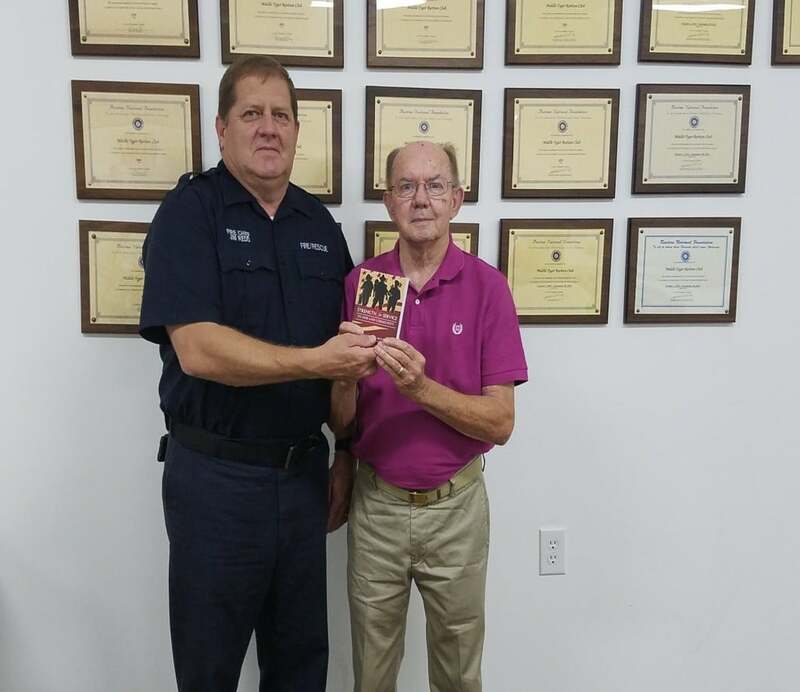 On the 15th anniversary of the terrorist attacks on 9-11, First UMC in Portage, Ind., presented books to members of the Portage Police and Fire Departments.